A Buckeyes Recipe Packed with Protein! 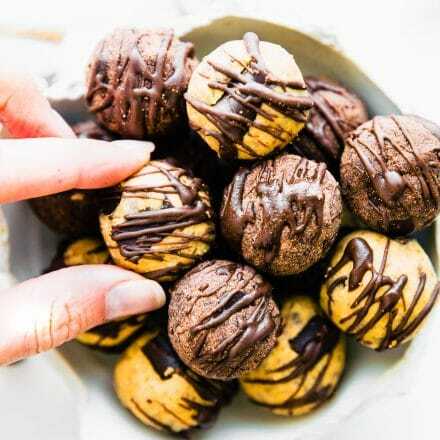 These Vegan Peanut Butter Protein Buckeyes are super easy to make and coated in dairy free dark chocolate. Gluten free with a Paleo and Lower Sugar option. A classic Buckeyes Recipe with a healthy boost! No baking required so make as many as you can, mmm k? I’m going to be completely honest with you. 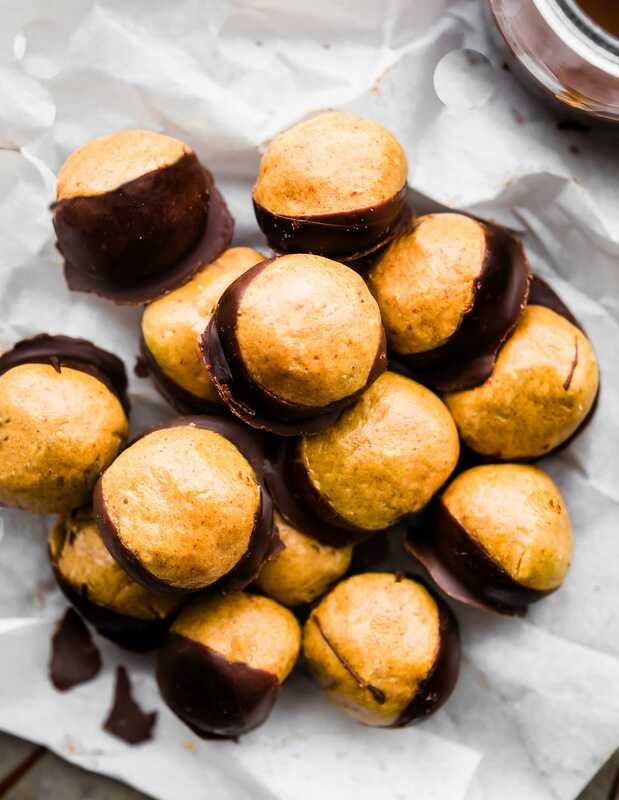 I yet to make a real Buckeye Recipe … Buckeye Ball err… bite… candy? And I mean, that’s kinda shameful since I make a TON OF NO BAKE BITES (aka Healthy Bites)! But you wanna know what’s worse? Even with all the Healthy Bites and Balls I make, I managed to totally butcher these bites by trying to make them look like legit buckeyes. Man, people who make buckeyes got SKILLZ! How do they make the chocolate coating go on so evenly? So I apologize for my imperfections shining, but hey, that’s what good Friday’s are for, right? Honesty and forgiveness? YES! Speaking of GOOD FRIDAY…. segue time. 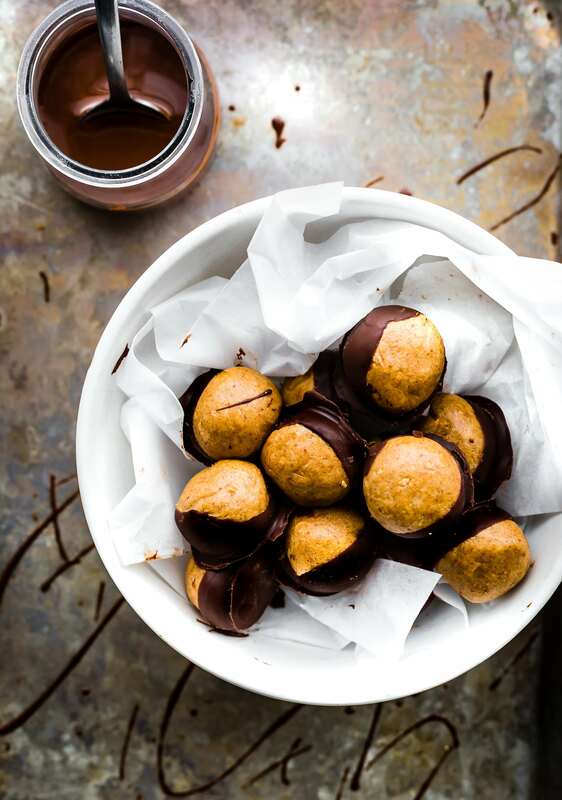 This Vegan Peanut Butter Protein Buckeyes Recipe is brought to you by my GOOD friend Arman. But you all may know him as THE BIG MAN’S WORLD! And ya’ll, I am so thankful to know this dude! He’s super talented, supportive, and just plain awesome! I’m pretty sure our blogging friendship began when we chatted about vegemite, hokey pokey, afghan cookies, and all things FOOD from that my Kiwi Husband adores from New Zealand. Being that Arman is from Australia, he could relate and joke. Love it! Okay total tangent there, you get the gist. I have super talented awesome blogging buddies & friends. Friends that make amazing healthy food and put it in an EPIC cookbook!! Da da da da da... 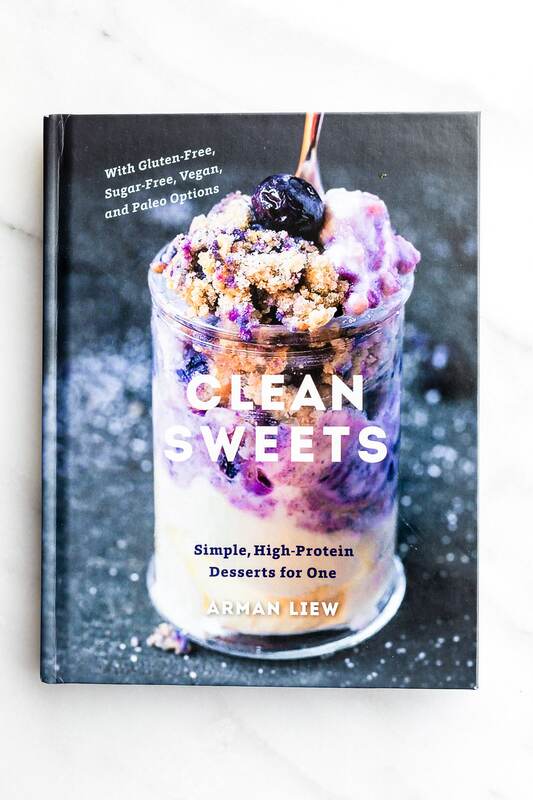 I present to you Arman’s CLEAN SWEETS Cookbook! 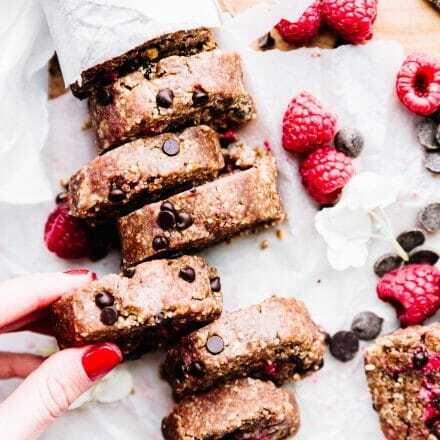 His Clean Sweet Cookbook is 100% gluten free and packed with dietary friendly sweet treats! Single serving recipes too. He also includes a Paleo, Vegan and Sugar-Free option for the majority of his recipes. That Arman, he’s so clever. 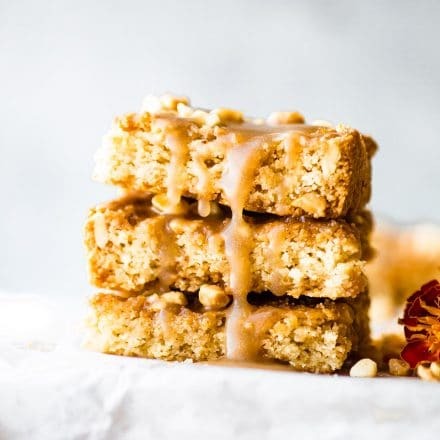 There are 50 NEW recipes in his Clean Sweets Cookbook. 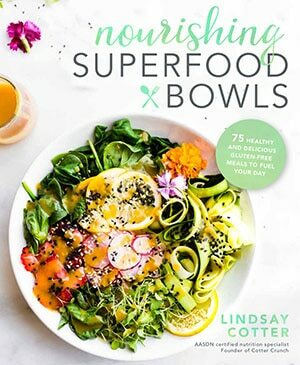 Um, that’s 50 different HEALTHY recipes! Including breakfasts, cakes, crumbles, mug cakes, cookies, muffins, no bake recipes, frozen desserts/treats, and small batch snacks like PROTEIN BUCKEYES yo!). I honestly had the hardest time trying to decide what to make first. The Buckeyes recipe stood out to me because it’s a no bake recipe! You know me and no bake snack bites. LOVE THEM! But also, as mentioned above, I had never tried making Buckeyes. That had to change! Arman mentions in his this recipe that he had never tried a buckeye before either. That was until he spent time living in Ohio, obviously! This version of Buckeyes recipe is protein packed, gluten free, vegan, and even has a paleo option. Yes, dietary friendly to boot! Not to mention HOLY MOLY CHOCOLATE PEANUT BUTTER YUM! I actually used a coconut peanut butter in this recipe, which made it even more to my liking. Can’t go wrong with that combo, right? So here we go, let’s get the “ball” rolling on this buckeyes recipe. Haha! A Buckeyes Recipe with Protein! 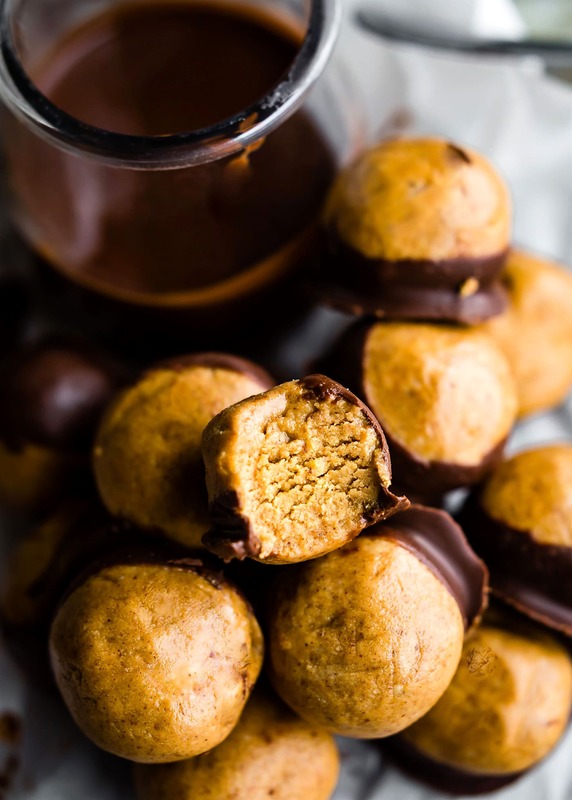 These Peanut Butter Protein Buckeyes are a no bake treat. Dairy free, vegan, gluten free and a Paleo option. 1/4 c cup chocolate chips of choice (dairy-free/sugar-free, if necessary). We use Enjoy Life Vegan Dark Chocolate. Unsweetened chocolate for lower sugar. In a small mixing bowl, combine the peanut butter with the protein powder and mix very well. The mixture should be incredibly crumbly. Using a tablespoon at a time, add your milk of choice until a very thick batter remains. 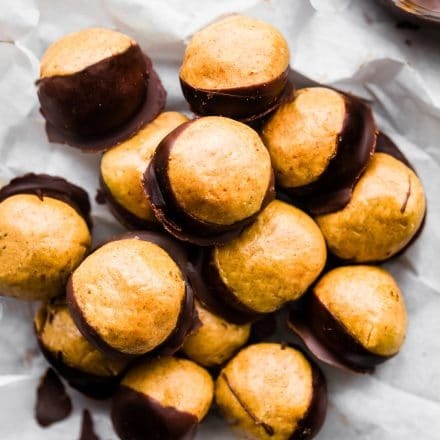 Form the batter into small balls and immediately place them in the freezer to firm up. In a small microwave-safe bowl or on the stovetop, melt your chocolate chips together with the coconut oil. Allow the mixture to sit for 2 to 3 minutes to cool slightly. 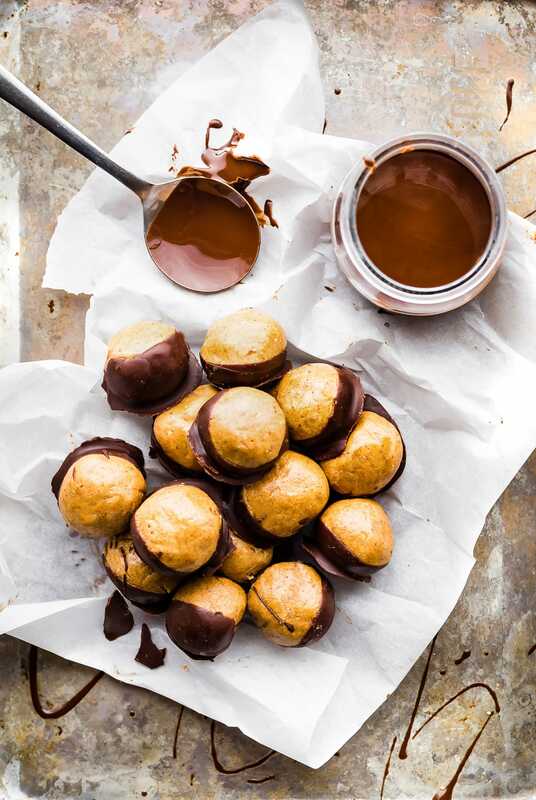 Remove the balls from the freezer and, using a spoon, dip half of each ball in the chocolate mixture until each buckeye has a half-moon chocolate coating. Refrigerate for 15 to 20 minutes more, until the chocolate has hardened. You will most likely not need to use the full amount of the chocolate coating. If desired, feel free to coat each ball entirely in it. (Paleo option) Swap out the peanut butter for smooth almond butter or cashew butter. NUTRITION is based on type of protein powder and chocolate used. Approx. 100- 118 calories per bite. You can easily double ingredients to make 14-15 small buckeyes. 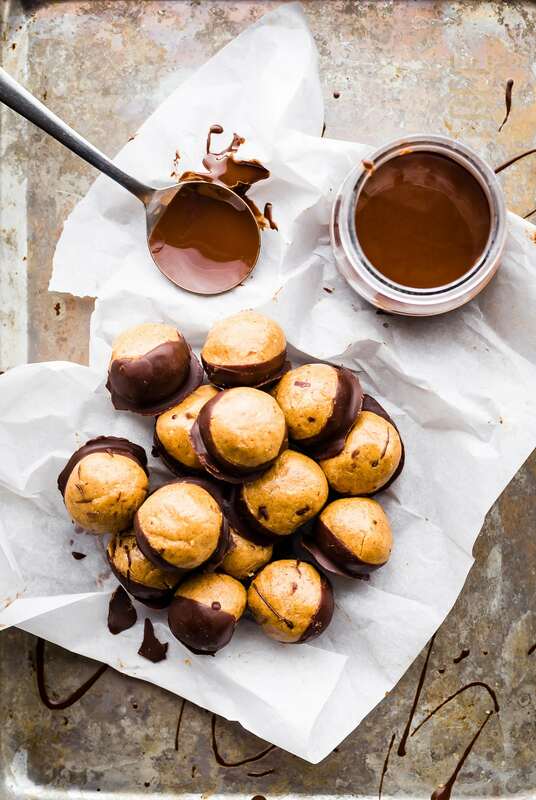 These Buckeye Balls make a great dessert option for Easter weekend ya’ll! Easy to make paleo and a whole lot healthier that those Chocolate Peanut Butter eggs. But I won’t judge you if you eat those too. Just sayin..
Oh and P.S I kinda sorta think this Clean Sweets cookbook would make a great Easter present, yes? So “hop” on over and check it out! Gosh I really need to stop with the puns. P.P.S Somebody tell me how to roll the buckeyes perfectly in chocolate coating. Obviously I need help. LOL! Cheers and have a great Easter weekend! Have you ever made Buckeyes? I need to make these! I have the new recipe book and love it but now I need to start making the stuff!! This recipe was definitely created for me. I cannot wait to make these! Hi Lindsay! Your peanut butter buckeyes look so good. I’ve actually never made them, but I’ve had them at friends’ houses’. I might just make a batch for Easter Sunday dinner. I can always take the extras into my office on Monday, and I am sure they will be gone by lunchtime. oh yea!! keep me posted! Let me know if you end up making htem Analida! 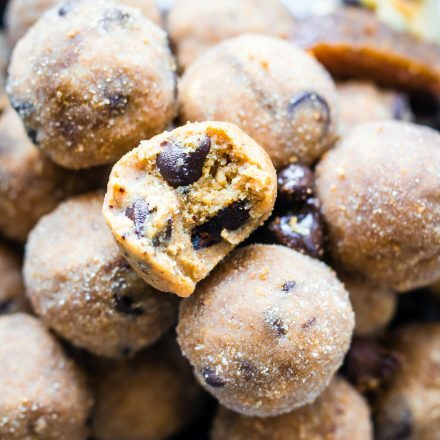 I was born and raised a buckeye so these have a special place in my heart 😉 I love the idea of making them healthier! These look great! oh then I need your recipe! do you have tips for dunking? Haha I need serious practice! You are seriously epic!! Thanks so much for your kind words and thank YOU for understanding the Aussie/NZ humor- It got me into too much trouble with many across the pond haha! An honor to have the no-bake Queen make a no-bake recipe. Big love! of course friend! 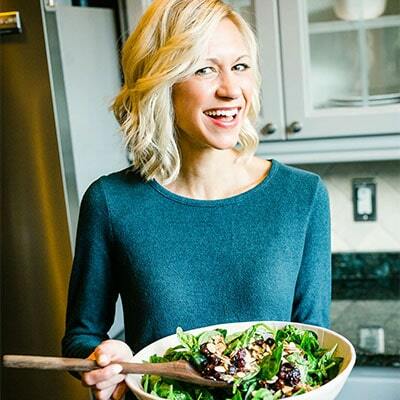 love the cookbook and so excited for you! His cookbook looks so great! I want to try these ballz! You can’t go wrong with the peanut butter and chocolate combo! Wow these are amazing. I love buckeyes, but I’ve never thought of using protein powder for them to make them a protein packed snack. Arman is so creative! Can I use a shakeology powder instead of a regular protein powder by chance? Sure! I don’t think that should be an problem. Let me know how it turns out Brandi! Use a toothpick along with the spoon to dip them. The toothpick is mandatory. After removing from freezer, insert a toothpick to dip them. Then place on parchment to set. Later, go back and smooth over the toothpick hole. I’m so excited to make these. My 3 month old has a cow’s milk allergy, so I’m dairy free for him. But my chocolate craving has gotten almost unbearable!!! I can not wait to try these!!!! Thanks! oh yay! Thanks for tip! If you use a toothpick in the ball to dip, it works like a charm! What flavor protein powder should I use? oh good tip! Will do! So for vegan protein, I’ve used Vega or PlantFusion Pea Protein. Also Peanut Flour Works. So you know I live in the Buckeye state right?! These guys are a staple here, and your version (Arman’s version) looks just as magical. Well done, my friends. Anytime. More door/house is always open for you. YES, I pre-ordered Arman’s book the minute I saw it on Amazon! While I haven’t had too much time to make a recipe, I’m totally going to have a baking party when I come back home for the summer and recreate all of his delicious desserts! These buckeyes look incredible! I have to try them out! Hi! These are amazing! Any ideas on what to do to firm up the peanut butter part? I’ve made a few different batches, but I’ve had to add way more protein powder or coconut flour to get them to hold any semblance of shape! Trying to figure out what to try next! what type of protein powder did you use?